Upper Kerio Valley, Elgeyo-Marakwet, Kenya. Dec. 2014. 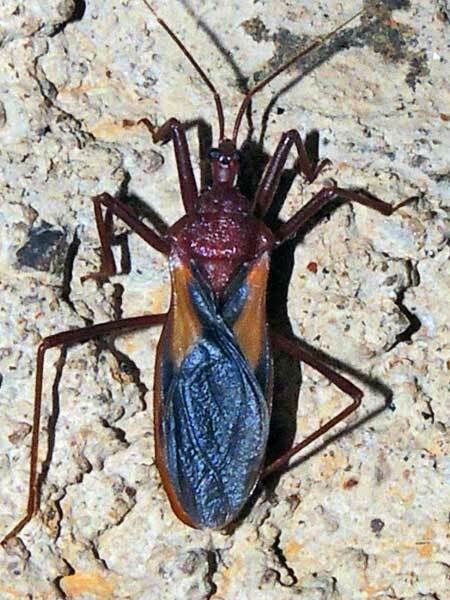 Assassin bugs are predatory on other insects (except a small group of blood suckers) which they capture with raptorial front legs and a mouth-beak that can inject paralyzing venom. The colorful pattern is a warning to its own predators that a painful bite is possible if the assassin bug is attacked.